When Ru said she was giving us a twist, she wasn’t kidding, henny. 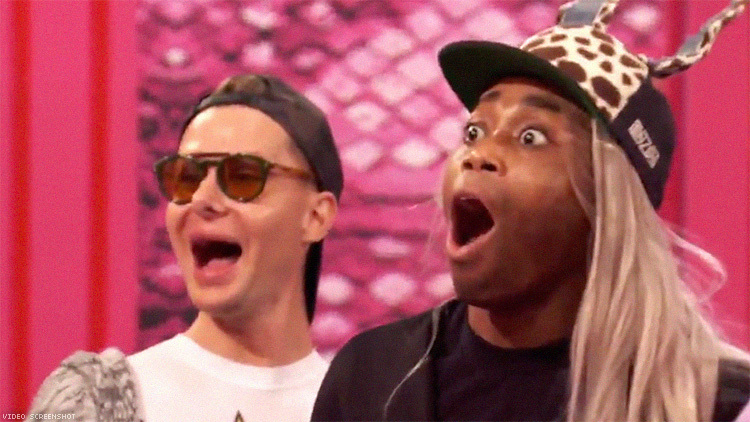 In an unprecedented move for Drag Race, after having temporarily suspended All Stars rules, Mama Ru has set up basically a lip-sync to the death between the returning queens and the remaining queens. Dubbed a “Lip Sync LaLaPaRuZa,” the competition will see each returning queen (in reverse elimination order, starting with Latrice Royale) select a queen that’s still in the competition to go head-to-head with in a lipsync. The winning queen of each match will progress on in the competition. All to RuPaul tracks of course! In theory, this means that we could potentially end the show with all four returning queens back in their slots, having sent home their counterparts. May the odds be ever in your favor. Of course, we could do all of this and the remaining queens could mop the floor with their would-be competitors. At least we’ll (likely) get a reveal out of it!